In 1998 while changing after a kali training session, a friend approached Kevin Secours with a videocassette and asked, "You ever seen the Russian martial arts?" Looking at the Cyrillic label on the video, Secours asked, "Any good?" "It's interesting," the friend replied. "Weird as hell but interesting." Little did Secours know that tape would be his introduction to a 16-year (and counting) journey into the unorthodox world of the Russian martial arts, including years of high-level training under top Russian masters. On the video Secours saw mobility exercises unlike anything he had ever experienced. As he was to learn, the uniqueness of the Russian martial arts stemmed from the uniqueness of the country itself. The Cold War in the 1950s, during which the superpowers battled for supremacy, was the final forge that refined the Russian martial arts into what they are today. In anticipation of global warfare, the Soviet government commissioned combat researchers to travel throughout the world to study different approaches. They tested these methods and integrated the best concepts with their own native traditions. This period of development led to the creation of distinct Soviet martial arts, including Sport Sambo, Combat Sambo, and Samoz, which was later modified and became known simply as Systema (literally "the System"). Approaching Systema from a decidedly Western perspective, Secours pressure-tested the strengths and benefits of every concept and technique, and ultimately took only what served him. 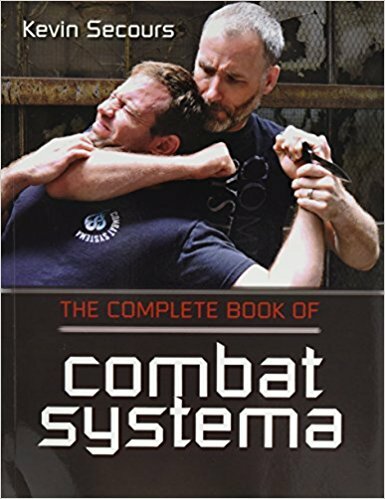 He built his Combat Systema curriculum on a scientific approach to biomechanics, breath training, and combat psychology. 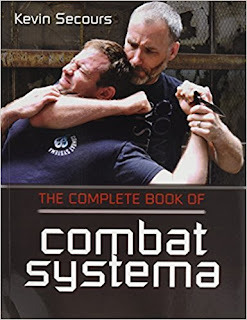 In The Complete Book of Combat Systema, he keeps things practical, provable, and profitable for you to incorporate what works into your self-defense training.